One of the most defining periods of my life was serving as a Peace Corps Volunteer (PCV) in the Democratic Republic of the Congo. Other current WCF staff and interns are also former PCVs, including Charlie Feezel (Burundi), Ethan Budiansky (Senegal), and Bridget McElroy (Ecuador). Naturally, I was particularly pleased in 2010 when WCF signed a memorandum of understanding with the Peace Corps that enabled PCVs to work directly with our programs. In August 2011, this agreement was put into practice when our first PCV, Steve Burgoon, was assigned to Sefwi-Nkonya, a small village in Ghana’s Western Region, roughly 300 miles northwest of Accra. Steve’s main project was working with WCF on CocoaLink, a mobile technology service that delivers timely farming, social and marketing information to cocoa farmers in 15 communities in western Ghana to improve incomes and livelihoods. Cocoa farmers who subscribe to CocoaLink receive and share practical information via SMS text and voice messages with industry experts and other farmers. CocoaLink is available to any Ghanaian with a cell phone, with messages delivered in English or the local language. To assist cocoa farmers with CocoaLink, Steve learned Twi and Sefwi, the main local languages in the area. He was able to register more than 3,800 cocoa farmers and their families for this service. The information farmers receive from Cocoalink is provided by public and private sources. On behalf of the public sector, the Cocoa Research Institute of Ghana (CRIG), the research division of COCOBOD, develops agricultural and social messages for the platform. Our private sector company members provide input on the types of messages to farmers, including improved farming practices, farm safety, child labor, crop disease prevention, post-harvest production and marketing. Farmers are able to share what they learn and ask specific questions about issues they face via text message. Each participating community has direct access to local cocoa extension agents and on-the-ground trainers to help ensure program success. Given the successes in Ghana, CocoaLink is now being piloted in Côte d’Ivoire. We are grateful to Peace Corps and to Steve for helping us with CocoaLink during its startup phase. A few weeks ago, Steve informed us that he had successfully completed his PCV service and was returning to the United States, to begin a graduate program in Maryland. Thanks to this positive experience, WCF looks forward to working with the Peace Corps in other countries in the future. WCF announced today the opening of its application period for farm productivity and cocoa quality research projects in Eastern Indonesia. Grants of up to $60,000 USD will be awarded to research projects that will improve the quality of life for Indonesian cocoa farmers and cocoa-farming families. The three-year program is made possible through the Ford Foundation’s Indonesian Cocoa Applied Research & Extension Grant. The Grant will provide up to four awards of $60,000 USD each to Indonesian research institutes, universities, or non-governmental organizations with qualifying projects focusing on Eastern Indonesia. Submission guidelines and details are found on the WCF website. The application period is open through October 1, 2013. The project’s goals are to improve the quality of life for cocoa-farming families and the quality of their cocoa production, advance the transfer of technology/research from the laboratory to the cocoa farm through participatory field trials with the active involvement of farmers and the development of extension materials and training approaches, and to further the development of innovative technologies and training approaches that are locally appropriate. Indonesia is the world’s third largest cocoa-producing country. 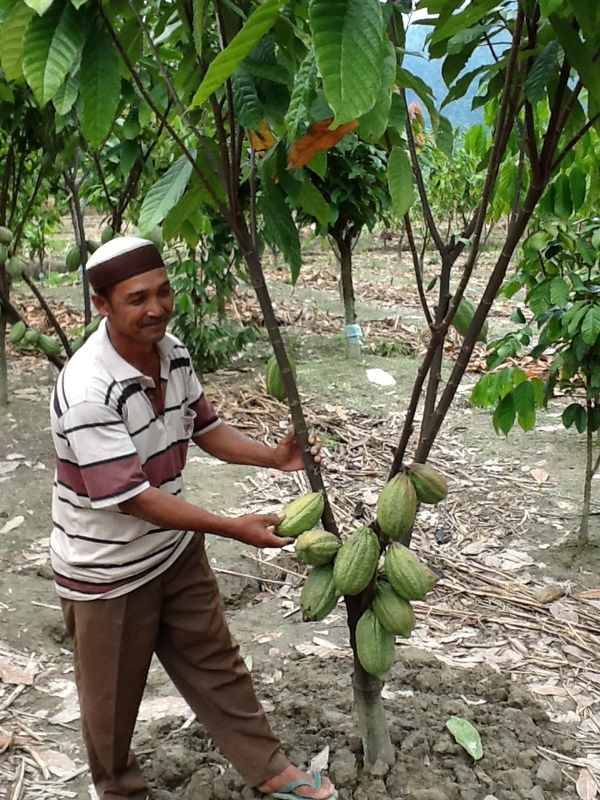 Cocoa is an important source of livelihoods for hundreds of thousands of farmers in Indonesia. Smallholder farmers, however, face three key challenges: managing pests and diseases, aging cocoa farms, and product quality. The Indonesian Cocoa Applied Research & Extension Grant is seeking research applications that will help address these challenges and improve technologies that are transferable to and adoptable at the farm level. The Dominican Republic is the host country of WCF’s 24th Partnership Meeting and inaugural Cocoa Sustainability Trade Fair, October 15 – 16, 2013. WCF connected with SPAGnVOLA’s CEO and Founder, Eric Reid, to get his thoughts on the soil-to-table approach in his home country. I come from a different mindset and perspective when it comes to cacao. Owning the land, cultivating, harvesting and post-harvest processing of our cacao is not an easy task, and it allows me to gain a greater appreciation for the value of this commodity, especially when you’re in business to create premium chocolate and not bulk confection. On the other end of the spectrum, manufacturing and building a premium brand is not easy, so I have gained a rare appreciation for the lifecycle of this commodity. Although I see both sides from a large lens, I have a HUGE affinity towards the farming perspective. Without cacao farmers, the industry collapses!!! My underlining mission is “what will my grandchildren think?” Have I created the proper foundation which enables fairness across the board? How does this industry provide “shared-value” throughout the lifecycle of this wonderful commodity, which enables a sense of unity and fairness from soil-to-table? SPAGnVOLA is a vertically integrated premium chocolate manufacturer, which is unique in the chocolatier business by virtue of controlling its entire supply chain, from soil to boutique. This chain spans the distance from its Dominican Republic mountainside farmland in Hato Mayor del Rey (Hacienda de SPAGnVOLA), to its factory and boutique in Gaithersburg, Maryland. SPAGnVOLA proudly ensures that the cacao beans used for its premium chocolate are of the highest quality and cultivated with sustainable farming practices. The WCF Cocoa Livelihoods Program (CLP) has been designed with a ten-year vision (2009-2018) of doubling the income of 200,000 smallholder cocoa households in West Africa. Phase I of CLP focused on developing, testing and implementing interventions with a foundation of training to improve the livelihoods of 200,000 cocoa farmers and their families. As part of the program, CLP Phase I implemented a matching grant mechanism for industry partners to increase their capacity to directly reach cocoa farmers. Through the matching grants, CLP catalyzes partners to adopt innovations tested in the program and shares in the risk of integrating the best practices in their on-the-ground activities. It also leads to the establishment of new partnership among CLP partners. CLP Phase I successfully implemented the matching grant model in partnership with supporting members including Mars, Cargill, Ecom, Olam, Armajaro Trading Inc., Noble Resources, and Barry Callebaut. Through these projects, industry partners reached more than 35,000 farmers in their projects across Côte d’Ivoire, Ghana, Nigeria and Cameroon. Matching grant recipients are provided with training, inputs and additional support to farmers and farmer organizations in order to achieve the objectives and goal of the program. Based upon the success of the model, CLP Phase II (2014-2018) will use the matching grants from industry and government partners as the primary mechanism for reaching the beneficiary famers. Industry and government partners will be responsible for reaching farmers directly by continuing to scale up the best practices of CLP Phase II. WCF will provide additional support to the matching grant recipients including design support, technical assistance, and oversight from the program staff. WCF will work to improve their capacity for monitoring and evaluation, help facilitate partnerships in the cocoa sector, and ensure the ongoing sharing of best practices. This model will ultimately lead to a full transition of interventions to public and private players. A group of four cocoa professionals from West Africa have successfully completed the inaugural USDA/WCF Cochran Fellowship Program – Global Cocoa Initiative fellowship program. The four joined together for a two-week study tour on cocoa warehousing and storage in the United States. Funded by WCF and the U.S. Department of Agriculture-Foreign Agricultural Service (USDA/FAS), the Cochran Fellowship Program – Global Cocoa Initiative fellowship will continue in a three-year series of study tours organized by WCF for professionals from cocoa producing countries. This was the first group participating in the Cocoa Cochran Fellowship. Cocoa experts Dele Adeniyi, research officer at Cocoa Research Institute of Nigeria; Kafumba Kenneth, warehouse manager at Liberian Produce Marketing Corporation; Emmanuel Quansah, lecturer at Ghana’s Kwame Nkrumah University of Science and Technology; and Eric Olivier Tienebo, teacher and research assistant at Côte d’Ivoire’s Houphouët-Boigny National Polytechnic Institute, each brought various perspectives to the fellowship. Over the course of two weeks, U.S. perspectives of warehouse management and best storage practices were showcased, with discussions and meetings between program participants and WCF member companies. At Camden International Commodities Terminal (New Jersey), the fellows gained an in-depth view of the warehouse management system and preferred cocoa storage practices, including standards for warehouse inspection and maintenance of the warehouse. 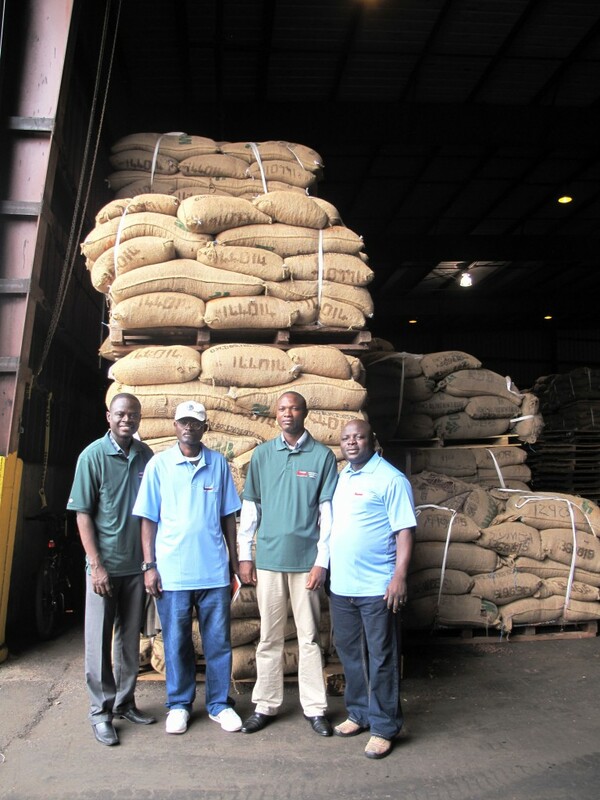 The group also visited Dependable Distribution Services (New Jersey) to gain another warehouse perspective and witness a vessel offloading Ivorian beans into the port and storage buildings. This was the first time on a vessel for many of the participants and provided insight into what occurs after cocoa beans leave origin countries. Various chocolate processing facilities, including Mars Chocolate North America (Pennsylvania) and Archer Daniels Midland Company (Pennsylvania), afforded the fellows with knowledge of cocoa processing and chocolate manufacturing. Quality, flavor and supply chain necessities were discussed with specific respect to each fellows’ origin country. Storage practices of finished product and cocoa sustainability programs and practices were also covered throughout the fellowship. To gain insight into cocoa trading and supply chain management in New York, the fellows attended meetings with WCF and member companies: Atlantic (USA), Inc. (Ecom-Agroindustrial), Olam Americas, Inc., and Armajaro Trading Inc. Among many topics, the global cocoa trade system and market were discussed. Through this Cocoa Cochran fellowship, participants gained exposure to the U.S. cocoa warehousing and storage sector and expanded their networks of professional contacts across the supply chain. At the close of the program, fellows developed action plans with goals to implement what they learned in their respective origin countries. 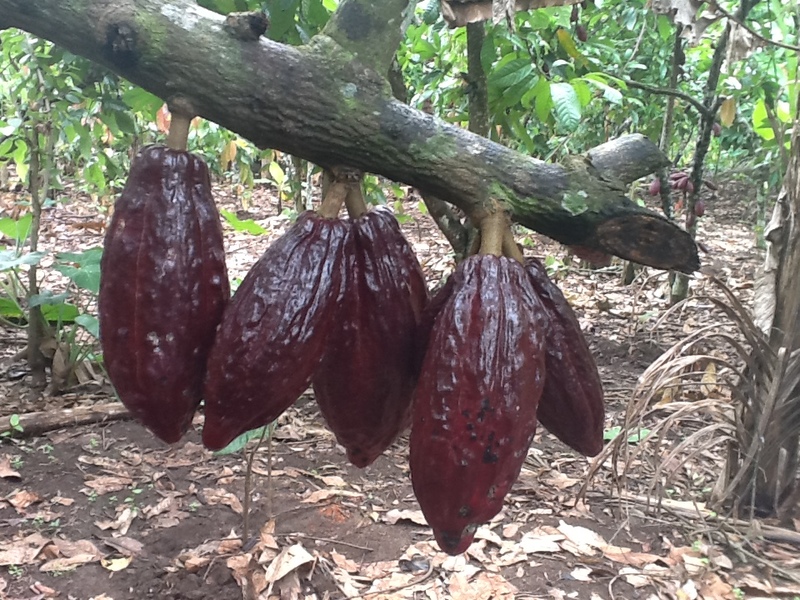 Research into two varieties of cocoa is underway in Ecuador. Through DNA fingerprinting techniques, the project is identifying the genetic make-up of fermented Nacional beans from hybrid CCN51 beans. The Lindt-supported project is determining the genetic identity of “Nacional Cocoa” and defining the range of genetic variation in “Nacional” variety. To date, a total of 230 leaf samples of cacao trees representing the Nacional complex were collected from fifteen traditional cacao farms in the north, central and south of the coastal regions. Samples were chosen based on farmer perceived classification and morphological characteristics. State-of-the-art genotyping technology was used to generate genetic profiles for cacao leaf samples taken from the farms. The genetic relationship among individual accessions of these perceived traditional varieties, as well as between these farmer varieties and other known genetic groups in Upper Amazon, including wild and cultivated populations from the Santiago, Morona, Pastaza and Maranon rivers, were analyzed. Results show that the majority of the analyzed “Nacional” trees pose similar genetic background as the Nacional hybrids collected from the coastal plain of Ecuador in the 1920-1930s’, although there is some slight variation. Further tests confirm that the selections, representing germplasm from two traditional farms and from the wild, all belong to the same population demonstrating their origin from the Andes foothill. Furthermore, the result shows that the trees in northern Ecuador are slightly differed from those from the central and south coastal plain likely due to the more intensive introgression of Trinitario germplasm from Venezuela. Parentage analysis shows that several Venezuela traditional varieties, such as Porcelana Venezolano”, “Cacao de Ocumare” and “Venezolano Amarillo ” were identified as having significant parentage from the current Nacional hybrids in Ecuador. The research indicates that the Nacional hybrids still commonly exist in farmers’ fields in Ecuador. Moreover, farmers can identify these trees based on their agronomic/economic traits and morphological characteristics. Research will continue by collecting and testing additional samples, and final results will be presented on GIS mapping. WCF and ACDI/VOCA are launching an agricultural development initiative in Indonesia called the Cocoa Innovations Project, leveraging private-sector partnerships to help further develop the Indonesian cocoa sector. The project aims to improve cocoa farmers’ incomes and efficiency through innovations in crop management and the application of information technology. WCF provided ACDI/VOCA a $300,000 grant for the project, which was initiated with funding from the U.S. Agency for International Development. Key elements of the project include microfinance loans to cocoa farmers; use of mobile phone-based banking and agricultural extension systems; and community-based cocoa fermentation business models to improve the quality of farmers’ cocoa. WCF members Armajaro, Continaf, The Hershey Company, Mars, Mondelēz International and Olam are providing private sector financial support. The Cocoa Innovations Project pairs ACDI/VOCA’s 50 years of development expertise with the capabilities and resources of key local businesses, engaging a wide range of stakeholders to sustainably develop the Indonesian cocoa sector. The grant from the WCF, which represents cocoa value chain companies from around the world, is matched with $275,000 of funds from ACDI/VOCA to build on core program successes and amplify impact. WCF President Bill Guyton said that the WCF is looking forward to partnering with Indonesian government representatives, ACDI/VOCA and cocoa farmers to make the project successful. Seasonal loans—a combination of cash and fertilizer inputs—will be disbursed to farmers, and ACDI/VOCA will demonstrate the efficacy of fertilizer and good agricultural practices via demonstration plots. Based on this current season, an additional $7.50 in output is expected for every $1.00 of project funding. The project is piloting an interest-bearing mobile bank account, allowing cocoa buyers to pay a farmer through his or her mobile phone. The model will be tested with 2,000 farmers in late 2013 to prove the system for wider adoption in the agriculture sector. The project will partner with the Grameen Foundation to introduce the TaroWorks mobile extension ICT platform to the cocoa value chain. The TaroWorks platform uses mobile phone applications and human networks to provide poor farmers with relevant, timely agricultural information. 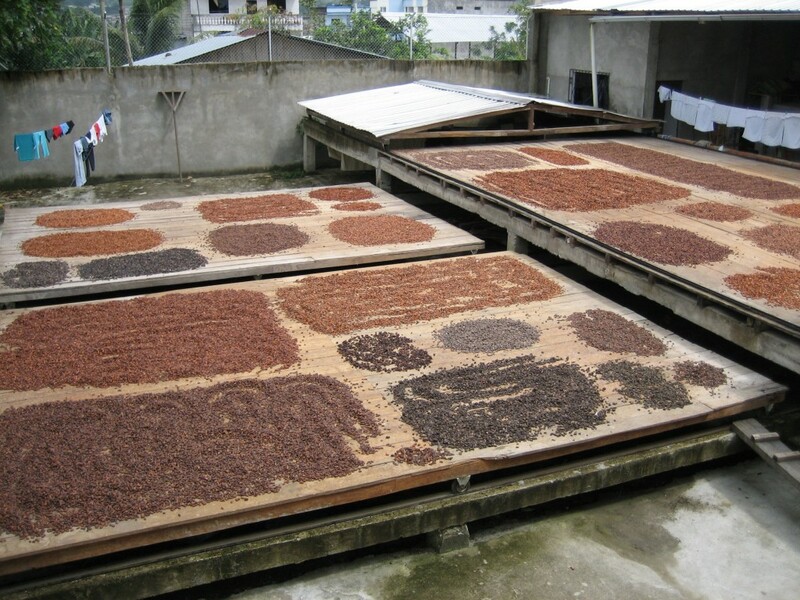 The project will pilot a community-based fermentation business model in two cocoa communities in 2013 and 2014 to train women’s groups to ferment beans for higher quality and a higher price. Look out for a special edition newsletter in the coming days which will introduce a new feature of the WCF web platform: the Cocoa Program Map. The interactive map will highlight WCF’s programs in West Africa and will allow viewers to pinpoint specific locations of program activities. Stay tuned for more information. Since June 2013, WCF has welcomed new staff member Paul Macek (WCF Senior Program Director for West Africa – D.C.). WCF also congratulates staff member Laura Ostenso, who has transitioned to her new role as Manager of Special Programs and Evaluation. Of special note, WCF recognizes the passing of Dr. Sarah E. Moten, former Chief, USAID Africa Bureau, Office of Sustainable Development, Education Division who passed away on Tuesday, July 9, 2013. Dr. Moten dedicated her life to bettering education for youth in Africa while paying special attention to gender equality from 1982 to 2010. 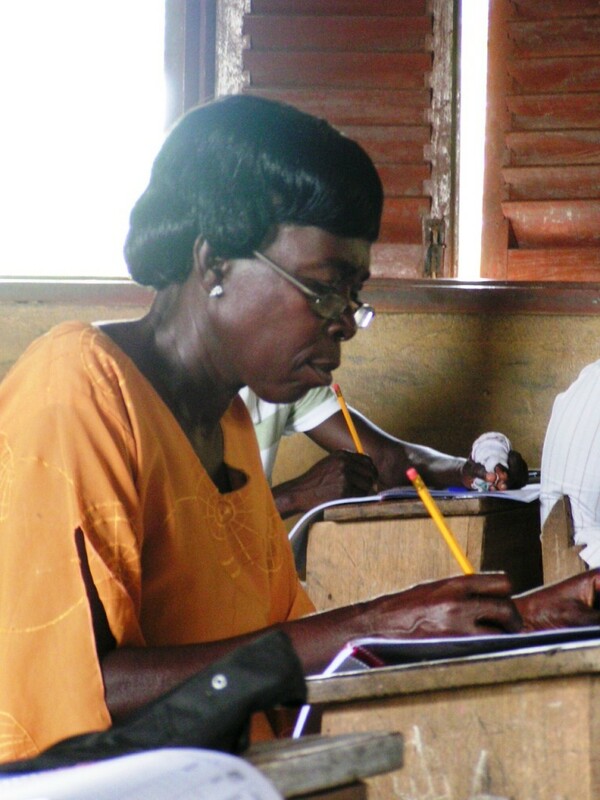 Dr. Moten was instrumental in forging the WCF ECHOES Alliance, which provided educational opportunities to thousands of youth and adults in Ghana and Côte d’Ivoire, she will be truly missed.